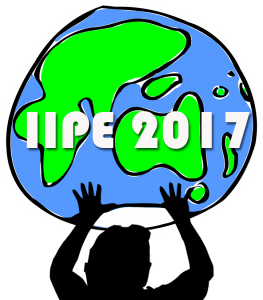 The priority application deadline for IIPE 2017 was May 15, 2017. The 2017 International Institute for Peace Education (IIPE) will be held in Innsbruck, Austria at the Grillhof Seminar Center from August 27 to September 2, 2017. This year’s institute is being organized in partnership with the IIPE Secretariat, members of the Faculty of Education and Queens’ College at the University of Cambridge, and the Unit for Peace and Conflict Studies at the University of Innsbruck. What contribution can peace education and peace learning make to the transformation of the emerging crises threatening existential and social survival? What must we learn, and how might we learn it in order to save our planet, eliminate “the scourge of war,” and achieve universal human dignity as the fundamental basis of a viable and just global society on a healthy planet? Within this crucial problematic, IIPE 2017 seeks to explore peace education and peace learning as a multidimensional transformative process, with a special emphasis on affective and embodied learning and the arts, as well as contemplative practices, moral and ethical-political discourse, and approaches to trans-rational conflict transformation as modalities and content of peace learning and civic action. We propose that the pathway to this transformation is political in the sense that it involves politics as learning: peace learning for responsible citizenship through civic action and, reciprocally, civic action as peace learning. With this in mind, we invite and encourage applications from practitioners, researchers and activists from the fields of peacebuilding, international education, conflict transformation, community development, artists and healthcare to join the weeklong co-learning community. Through this learning community encounter, we hope to expose educational professionals to novel concepts of peace, peace education, and peace research, and to inspire scholars, artists, and practitioners to endeavor toward intercultural understanding and cooperation in various educational communities. and moral and ethical-political thinking. These streams reflect the work of the organizers. Together we propose to explore their relationships to each other and their best applications to the current global-local crises. We aspire to cross-fertilize participants’ experience both regionally and in our roles as peace-oriented educators, activists, researchers, and artists. For teachers and health-care practitioners, the body – as site, memory, channel, possibility – is so often relegated as an afterthought in the mind/body Cartesian divide of teaching and learning. Here we begin with the hyphenated body-mind (rather than the divided mind/body) to explore the ways in which the body feels, understands and fosters reflection and action for transgressive and transformative learning. This strand focuses on the alternative and elicitive mediums of learning that scholars, practitioners and artists joining IIPE have used in their own educational practices, such as breathing exercises, meditation, Qi Gong, yoga, Theatre of the Oppressed, Theatre for Living, and body work to foster critical action for social and political change that takes account of the body. With the elicitive shift, practitioners are understood as facilitators engaged in the art of creating and holding spaces in which transformation and unfolding can take place. This strand relates closely to concerns for contemporary migration and mobility in reference to the challenges educational practitioners face in working alongside participants who have recently experienced war and trauma. For researchers, embodied methods of research take account of the researcher as a holistic, subjective being. In order to counter the cultural and structural violence inherent in the idea that a researcher speaks from a ‘disembodied head’, and to acknowledge that research participants are very much embodied in their gender, ethnicity, class, and war trauma, peace researchers engage with autobiography, feeling and subjective aspirations. In this strand, IIPE participants may explore alternative research modalities, such as auto-ethnography, photography, performance and arts-based methods. These methods seek a horizontal research relationship, and promote the involvement of researchers and participants alike in a process of creative meaning-making alongside each other. Here, researchers and participants relate research itself as a method of resistance and social activism to disrupt hegemonic norms of knowledge-making. To this postmodern notion trans-rational methods of research furthermore add the understanding of the researcher as resource to be tapped during the research process. The researcher is here no longer just perceived as locus of biases or intersectional meeting point of axes of class, race, gender, but in humanistic fashion as creative and embodied source of holistic knowing. For activists, the IIPE community offers an opportunity to reflect and engage in alternative modes such as Theatre of the Oppressed/for Living and engagement of moral and ethical-political thinking as means of exchange with other like-minded peacebuilders from other global-local contexts. Through energetic, active body work and critical reflection, new insights and frameworks may illuminate struggles of larger body politic and contemporary global issues especially affecting the European region. IIPE will provide activists with a dialogic and experiential learning community in working toward conflict transformations. Art and art-making arouses and cultivates subjective awareness that capacitates one to see reality and to act authentically. Art provides an opportunity and moves participants to reflect upon themselves and their relations to others. This reflective capacity is a kind of being – not only doing – an authentic apprehension of self and the world. Art promotes a heightened sensitivity and awareness entailing an intensified realization of meaning. Art enhances our capacity to perceive, to be aware, to be present to ourselves, others, and the world. Thus, art has significant ethical value in that it is a means for the development of the capacities of moral imagination and moral attention, the ability of seeing and feeling the moral situation/context with clarity and nuance free of obtuseness. As we face a conflicted globalized world, reflection on the value of art to ethically informed political engagement is of critical importance. focus on learning how to think rather than what to think by engaging in diverse peace education methodologies. Special Excursion: The IIPE features a special excursion day to facilitate hands-on and direct experiences with local peace education efforts that address the annual them. In 2017 we will spend a day at the Native Spirit Wilderness School at the River Inn in Tirol. The Native Spirit is dedicated to integrating nature and spirituality, it offers intensive courses as well as shamanic experiences to diverse groups of children, adolescents and adults. 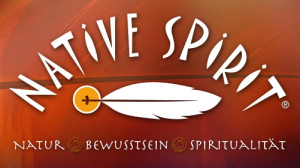 Additionally, seminars at the Native Spirit are part of the MA Program in Peace Studies at the University of Innsbruck. In this postgraduate course, students from all over the world learn in an embodied manner about transrational peace approaches. During the visit, IIPE participants will have the opportunity to learn some outdoor and basic survival skills, connect to nature, get to know selected shamanic techniques and elements of meditation. Self-discovery and self-reflection will be in the foreground of the day trip as a fundamental element of peace (education). In line with the conference’s theme on Aesthetic peaces we hope to make the best out of the Native Spirit’s commitment to an equilibrium among body, mind and spirit to discuss innovative elements of peace education. The IIPE invites formal and non-formal educators, students, practitioners, researchers and activists from the fields of peacebuilding, international education, conflict transformation, community development, artists, health and faith-based professionals, and others with interest in peace education — with all levels of experience – to apply to join the weeklong co-learning community. The IIPE application process invites potential participants to share experiences, interests and possible program contributions (pedagogical workshops, seminars, plenaries) relevant to the 2017 theme. Please note: The IIPE receives an average of 200 applications for 60 available spots. Applications are due May 15, 2017 and will be reviewed by the end of May/early June. Be sure to apply early for full consideration. Limited scholarship opportunities are available. Please visit the online application for more information and to apply today. The estimated participation fee is 700 Euros. The fee covers tuition, food, lodging (double occupancy – single rooms available for additional charge), and excursion. Fees are requested after acceptance into the IIPE program. All fees are due in advance of the IIPE. Since its inauguration at Teachers College Columbia University in 1982, the IIPE has brought together experienced and aspiring formal and non-formal educators, academics, professional workers, and activists from around the world to exchange knowledge and experiences and learn with and from each other in an intensive, residential-based learning community. The IIPE is held biennially at various universities and peace centers throughout the world. The IIPE embodies the practices and principles of critical, participatory peace pedagogy. 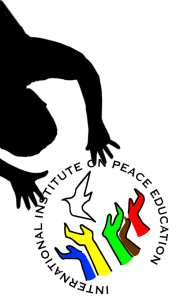 The IIPE pedagogy is “critical” in the traditions of Brazilian popular educator Paulo Freire and Betty Reardon’s work on critical comprehensive peace education. “Participatory” is a key word in describing the Institute. Unlike traditional academic events or conferences, presenters are in every sense participants, equally engaged in mutual learning. IIPE’s participatory pedagogy is pursued in a “learning community”; an intentional space designed to engage all in learning toward a common purpose. In this space all participants commit to learning with and from each other. There are no “drop-in” experts; all are engaged in the learning process, working cooperatively, modeling, experiencing and participating in democratic processes and transformative pedagogies seen as essential to addressing common problems of violence and injustice. The development of the IIPE program is itself a co-creative, community building process. Each participant is encouraged to contribute to some aspect of the program, either via a plenary, workshop or seminar or as a facilitator or moderator of some other aspect of the experience. Starting with the application, participants are invited into a dialogue with the IIPE organizers who elicit contributions based upon participants’ experience, motivations and expertise that add meaning and new perspectives to the holistically conceived program. Possibilities for collaborative action, research and pedagogical developments often emerge through the learning community process of the IIPE. Facilitated opportunities will be provided to help nurture these potential lasting outcomes amongst participants. At the conclusion of the IIPE, all participants will be invited to contribute to a special issue of In Factis Pax, an online journal of peace and social justice based at The University of Toledo. The journal encourages participants to help advance theoretical and practical applications of peace education explored during IIPE 2017. In Factis Pax is freely available to educators, peacebuilders, and community change agents from around the globe.